Fake Bike Helmets: Cheap But Dangerous Cheap knock-offs don't provide anywhere near the protection or durability of the products they replace. And most riders won't be able to tell the difference between real and counterfeit helmets. 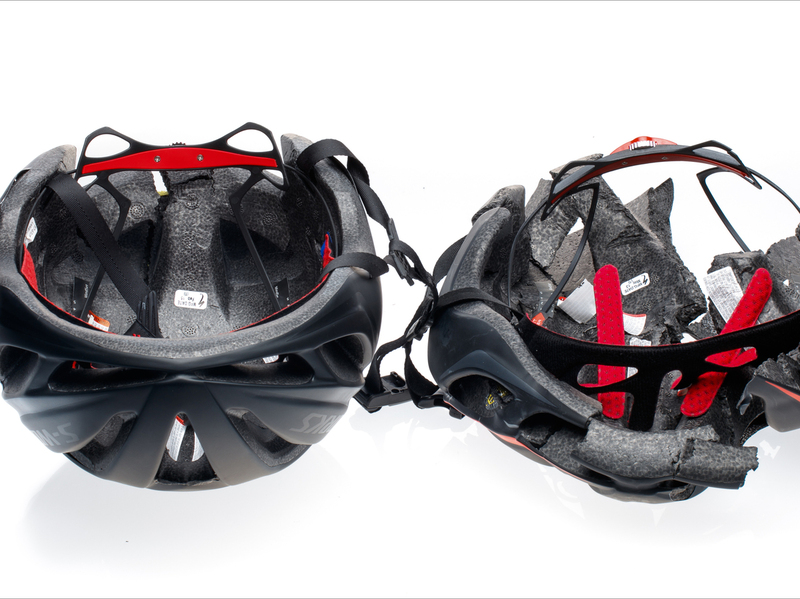 After impact, the authentic Specialized Evade helmet on the left held up but the counterfeit on the right crumbled. 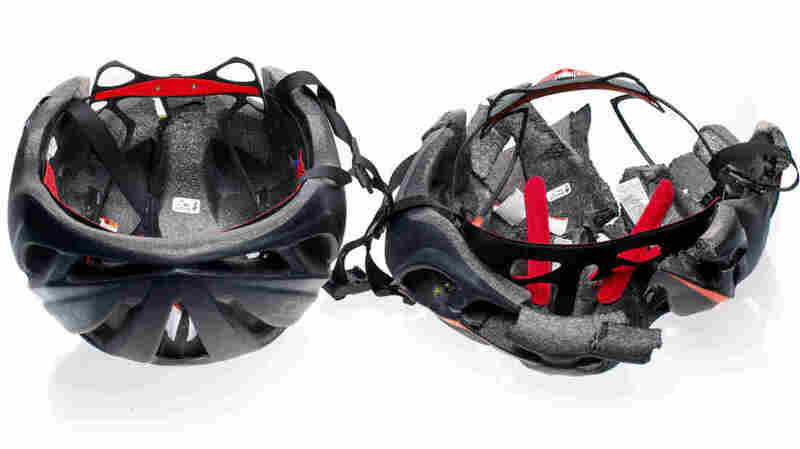 Specialized says the fakes lack reinforced roll cages — internal skeletons that hold the helmets together even after a crash. 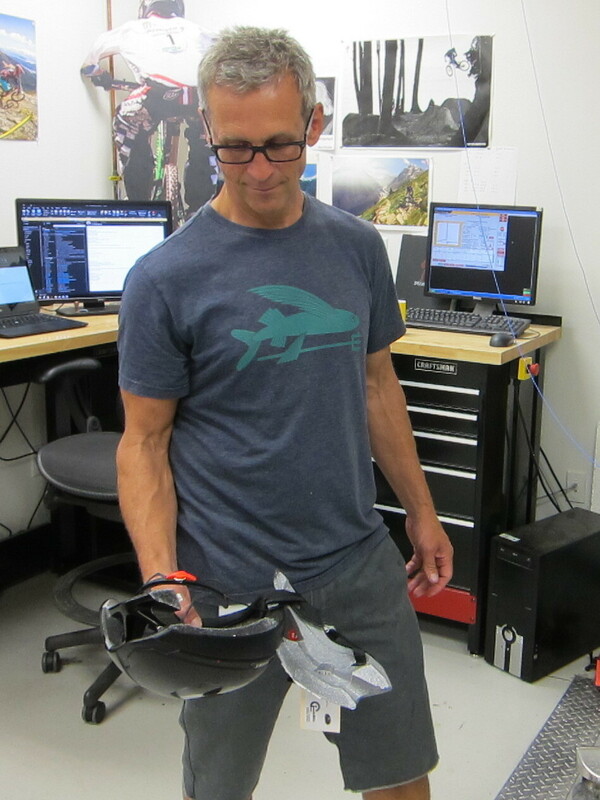 After testing a counterfeit helmet to see how well it handles a direct impact, Clint Mattacola of Specialized Bicycles holds the results — the fake helmet split in half. If a person had been wearing it, they could have suffered brain damage or death, he says.